Episode 5: All or Nothing Trailer Discussion. Aurenes egg was the very last of those eggs or at least thats what we got told. However, in the Crystal Arcana mission, we also get told by Ogden that we where not meant to know who had given that egg to the Master of Peace and it would come in time, perhaps Glint had another child that survived and was taking care of the eggs? Is that Glint's head behind Aurene? Doubt it. Vlast didn't leave a corpse behind to corrupt, he sort of exploded into a storm of crystals and even these crystals are resistant to branding so much so that they can be repurposed as weapons against the branded. I don't think Kralkatorrik can brand his grandkids or do anything to creatures that are already part of him besides kill them. It was probably why he was so eager to kill Glint when he woke up. He couldn't "retake" her and she was preparing to ultimately take his place. A plan we hope to personally see to fruition in her legacy. I had this pointed out to me cause i thought the same thing, but Kralkatoric explodes as well after you defeat him. You're probably thinking of Balthazar. I am not, i did however mean the Shatterer, and not Kralkatoric as i was talking about dead crystal dragons. You pointed out that Vlast exploded. So too did in lore(does each time its defeated) the Shatterer. Since Kralkatoric can bring an exploded Shatterer back to life, i see no reason why he couldnt bring Vlast back if he chose to. watch the video from 17 seconds in to 21 seconds. What about the Shiverpeaks Bloodstone?? Isn't it in the Deldrimor Front? Maybe Kralkatorrik aims for that (beside finding Aurene)? Also maybe Deepstone Fractal is placed somewhere near the Bloodstone? We can see the door in the end. Was this Mysterious Voice defending the entrance to the Bloodstone? there, if anet was any good at connecting maps it would be a great way to do it!! Expansions would still be necessary as focal points for new major gameplay mechanics, systems, and new landscape types. Not to mention, there are other major problems in the world that expansions could focus on. Like, I could see a Cantha expansion focus more on helping some rebellion or w/e overthrow the ironically named "Empire of the Dragon", or at least forcing it to change its xenophobic, isolationist, policies. That is true from a mechanical standpoint yes.. although you would think they would save the dragons for that considering how hugely important they are to the games main storyline. Adding to that mechanical factor as well it's something I feel of all things the Elder dragons will be the best way to show off those mechanics. Mordremoth for example took advantage of many new mechanics added with HoT as did Balthazar with PoF.. can we really expect the same from a Kralkatorrik fight in the living world? I'm a little skeptical although I do have a feeling we may end up fighting on his body.. destroying certain points much like the Titan boss in Spyro Dawn of the Dragon..
His design change and the trailer segment showing his physical body moving past a peak does seem to suggest we're going to be getting up close and personal with this walking mountain so we'll see. I still hope something like that may occur but I dunno.. at this point i'll be happy just to take a loss against Kralk and see where we go from there. I know I am probably reading too far into this, but in the PC's speech, he specifically says that "Glint believED in us," not believes in us. Since Glint has been dead already for a few decades, this leads me to wonder if Glint's soul won't get destroyed this episode. Part of me wonders if this speech we are shown isn't the last part of this episode, building up for the next and last episode. We'll just have to wait and see. I wouldn't look too much into it, since Glint's dead even if we can barely interact with her. I mean, the whole thing is about the apparent last stage of her legacy involving Kralkatorrik, so she obviously believed others can beat him. Bloodstone Caves was near Sparkly Swamp (now Sparkfly Fen). Pretty much the opposite side of the Shiverpeaks from Thunderhead Keep and Deldrimor Front. It's beneath the Steamspur Mountains, likely in that small unexplored area betwixt Dredgehaunt and Sparkfly. Deepstone Fractal could be placed in Thunderhead Peaks though. I do not think it is related to the Bloodstone, however, as there is nothing even close to the Deepstone structure in GW1, and the dwarves didn't last long enough to do massive prison building on the scale of Deepstone after EotN, IMO. The thing is, the entirety of the previous episode pretty much slapped it in the face that we do not have time to let Aurene grow before facing Kralkatorrik. Kralkatorrik simply is close to too powerful to die now that he's eating up the Mists. It's kind of a "now or never" kind of scenario, hence the episode name: all or nothing. We either manage to kill Kralkatorrik now, or we never will and Kralkatorrik will destroy Tyria. There is no "one year later" with how they've built it up. But then again, they managed to utterly and brutally destroy pretty much all the build up that Episodes 1 and 2 created for Joko with a single sentence ("The scarab plague only affects humans."). I wouldn't put it past them to utterly and brutally destroy all the build up they've managed with episode 4 and, by the sounds of it, 5 as well. Not to mention, Anet needs to leave something for the other Elder Dragons and their associated living world releases. Having Kralk fly off, especially to Cantha, would be dumb. It was my theory that Kralkatorrik would fly off to Cantha, but that's never going to happen now. This episode looks like the season finale. Either we kill and replace or we start season 5 as a branded minion. First of all, the fact that all our allies appear gathered up strongly indicates that there is going to be a fight. Second, we have those shots of the dragon at the end of the trailer strongly hinting that we will be fighting him. Finally, we have the title. These are all hinting that this is the season finale. It would be completely anticlimactic to have Kralkatorrik just disappear again with a "to be continued". 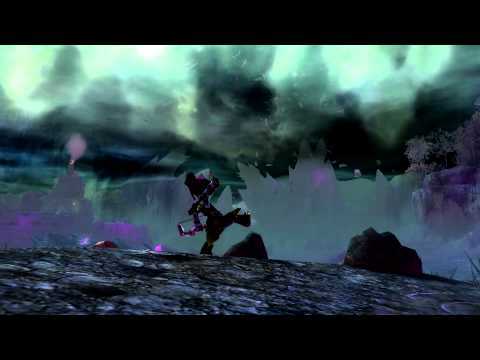 If we are actually defeated, then GW2 ends along with Tyria. Another reason I think this is the season finale is simple math. If we had two seasons of 6 episodes each with roughly 3 or more months between, we would be looking at an expansion sometime in 2021. That's just too much of a gap. If we instead have 5 episodes each season, we could see the next expansion sometime in the second half of 2020. We know that LWS4 has 6 episodes. There is one more after this one before LWS5 starts. Where was this mentioned? They only said that they had an "explosive second half of the season" when we were on episode 3. Half of 5 is 2.5, but there's no such thing as an episode 2.5. If you round it, then you get episode 3 as halfway point. From the looks of this trailer, it looks like 5 is actually the end. I am always excited for LW content, even though I know the story is rarely well executed... After we mowed through the scarab plague and joko in three episodes with very little loss, I have no doubt Kralk will be a similar situation. There's more at stake now, maybe we'll lose some allies at the end. But the story post-PoF has been sped up to a very unsatisfying degree imo. So I'm pretty sure we'll blaze through Kralk in the next two episodes and then we'll move onto something else in LW5. A. Literally the very info-graphic you mentioned. The third episode came out, they released the info-graphic, "we are halfway through the season", 3 is half of 6. B. The ever useful That_Shaman who mines the game data and discovered, all the way back when Episode 1 came out and they released the Living World portal tome for this season, that there were 7 slots in the tome, labeled episode 1-7. This last release they renamed the episode 7 slot to Sun's Refuge, so we know there are 6 episodes. Which matches the info-graphic information. It wasn't announced officially. However, both for Season 2 and Season 3, they announced their final episode as "the finale". There is no such statement for All or Nothing. Plus, there'd just be too much to do if this were the finale and would make it nearly twice the size of any other Season 4 episode. Granted, Episode 4 felt longer than 1-3 individually (as long as an episode and a half in comparison), but still it seems like we have too much to do for that. We got to do more than just gather our allies, we need to find Aurene, find something to give us an edge (which is why we go to Thunderhead Peaks based), and then we need to lure Kralkatorrik / chase him down. Based off of the trailer, we manage to do three of those things, though I doubt the last is at all intentional. But that third one, finding something to give us an advantage, is going to be the majority of the episode. I'm betting that our allies only gather up at the very end for a cliffhanger rallying speech. Anet showed with Episode 4 that they're no longer going to have us fight some mini-boss to close each episode, and are willing to end an episode on a massive cliffhanger. I feel Episode 5 will be the same. Which, imo, is good, because that will make the episodes feel more coherent to each other. I just hope the team that gave us Crack in the Ice, One Path Ends, and Long Live the Lich doesn't screw up again. I know they've switched folks up a bit over the years since Season 3 began, but still, the third release is always the worst of the three and manages to screw something up big time. First it was the annoying-as-hell boss fights, then it was the rather sad deliverance of a villain many vets were waiting for (granted this was an issue for the whole season), and third it was a fairly barren map with a gag death to one of the major villains. And now they handle the battle with Kralkatorrik. Yeah this episode looks to be the climax of the Kralkatorrik arc. We will find some way to confront him that doesn't require the commander or Aurene to be apart of the frontal assault. Many of our allies will sacrifice themselves to distract Kralk while the commander and Aurene manage to deal a sneaky blow to finish the dragon off. I'm guessing the "Tyria will be reshaped" part just means the branded areas will be cleansed by Aurene when she takes Kralk's place as elder dragon. I'm thinking that's how things will go down in a short summary. Well this is war, people will die. On that I hope Eir will join us again, Trahearne, Any of the orders partners we chose, Blish(in his asura form), And more who fell in batte while trying to protect Tyria. Bring Zojja back as well I miss her and hate to see her missing. Well that trailer was underwhelming. Didn't expect such cheery trailer after we completely lost the last battle- we lost Blish, Aurene is going to die if we fight Kralkatorrik, and Taimi is dying too. Bring the Six back! Make Kas get hiccups! I'm guessing we're going to learn more about what Vlast was really talking about in the memory crystals, about the powers Aurene has to master, and about the weapon that enables mortals to do the work of dragons. Aurene probably has to get the draconic equivalent of ascension and the blessing that Kormir received rolled into one. I vote to they create a "gods connection" too. but unfortunately it is a sensitive topic due to the potential to appear Deus-ex-machine or a Trahearne syndrome, lots cries because "they stolen our protagonism". : I can't understand what you're saying. : I'll never make it across on foot. : What just happened? Why did it get quiet? : Taimi? Are you still there? maybe, Aurene should learn from the Gods and the Exalted how to "share" magic or anything like that to bring the balance? You make very good points. Also, another one in your favor is that that_shaman discovered there was room for seven portal scrolls in the season 4 portal tome. That led people to suspect that we would get 7 episodes, but six is more likely because one slot was used for the refuge they added in the last episode. However, I would not put it past Anet to do a surprise ending. They haven't explicitly stated how many total episodes there will be one way or another, which leads to speculations about when it will actually end. So this presumable takes place just north of Desert Highlands. We're so close to connecting central Tyria to the desert!! I dunno. They added a portal between Jahai Bluffs and Domain of Kourna, and we got one between Domain of Vabbi and Jahai Bluffs, allowing someone to run from Desert Highlands to Domain of Kourna. So it's possible that Episode 5 could be physically connected to Desert Highlands (or Timberline Falls I guess?). If Episode 6 were adjacent to a core, PoF, or S4 I'd imagine it'd also be opened via portal as well. Let's hope for one connecting Fields of Ruin and Desert Highlands. Let's run from Gandara to Arah to Dragon's Domain! Honestly I can see it going either way. Thunderhead keep back in GW1 is pretty distant from any map we currently have. While the GW2 map is going to be much larger then the area I boxed(which is just the GW1 area) they will still have to do some large gap between it and Desert Highlands IMO. I also wouldn't be surprised to see parts of Ice Floe, and the Iron Mines of Moladune in this map. I am admittedly kinda disappointed they are doing this now. I would have preferred the Deldrimor Front be more tied to a Primordus expansion because of the dwarves connection to Primordus. WHERE THE HELL IS ZOJJA? If not this episode she better show up for the final battle or holy pickles. This is THE big redemption moment for Destiny's Edge, even more then when they were all together for Zhaitan. She NEEDS to be there Anet, or else I will finally have to agree with one of those "missed opportunity" people, don't make me have to agree with those people! Also, where are Marjory and Kasmeer? We see Rox and Braham, and hear Taimi and Canach. Yeah, we need Marjory and Kasmeer so that we have ALL of Dragon's Watch ready for it to hit the fan. Makes sense since their recon of Kralky is over. Well it's not like they're against creating gaps between maps while still having them physically connected coughVabbicough. But as to Primordus, I doubt we'll get a "Primordus expansion" and, in all honesty, I kind of doubt we'll be touching Primordus or Jormag again in GW2 unless ArenaNet is planning on keeping the game going for another decade. Unless we will find something on Glint AND Primordus. Kinda hoping they use Season 4 to finish off Kralkatoric entirely, and in Season 5 Primordus reawkens due to the influx of magic thats going to get released from his(hopeful) death. I doubt Aurene will be able to absorb all of his + Mordremoths, Zhaitans, and Balthazars magic that Kralkatoric absorbed also. Indeed. Given Vlast was not yet ready and Glint hadn't made her own direct move (if she even intended to, I'm a bit sketchy there), I remain sceptical Aurene is anywhere near ready to be absorbing anything but a portion of released magic. The thing is Kralkatorrik resurrected the Shatterer as a death branded and the Shatterer shattered into a million pieces too. There is something that bugs me here. We all saw the visions from Aurene where, despite what future it was, Aurene just died. And now we are trying to find something that gives us an edge against him. If so... why wasn't that thing included in the visions? Either it was there and the end would be the same or we aren't getting anything that gives us an edge. Also I'm not sure if we win against Kralkatorrik in the coming battle. I mean we just start to turn our full attention to him and he dies only 2 episodes after that? Aurene isn't ready to fill in his position now and if she can't then Tyria will be no more when he dies. I think that right now we are set up for a major loss. We are up against an absurdly powerful enemy who can turn into a giant storm and whose death will kill us all right now. We don't have the tools to harm him right now and the only being who can wound him is too young, too inexperienced and is probably traumatized after seeing her death multiple times. Also we are getting rushed to kill him right now without having the means to do so. The only advantage we have right now is the fact that we can detect where he will attack and nothing more. So yeah, defeating/killing Kralkatorrik in Season 4? Nope. Why not? We are about to kill Kralkatorik, the third Elder Dragon, and we will have done so 6.75 years into the game's life. At this rate, we will have killed all the Elder Dragons 13.5 years into the game's life. -The original Everquest is approaching 20 years old and STILL getting expansions. -World of Warcraft is 14+ years old, still getting expansions. -Everquest 2 is also 14+ years old, still getting expansions. -Star Trek Online, a significantly less popular MMO, is approaching 9 years old, and they had one of the best years they have ever had, with plans for another two years at least already in the works. MMOs can live for a decade plus, so long as the developers don't do something god-awful to ruin them. There is nothing stopping Anet from going on to have GW2 last another 6-7 years. Hell, by the time LWS5 is done we will have gone another 17.5-21 months, at the minimum, with various holiday events, and inevitable delays, and the like it will probably be closer to two years. And I doubt LWS5 is the end of it. There is something that bugs me here. We all saw the visions from Aurene where, despite what future it was, Aurene just died. And now we are trying to find something that gives us an edge against him. If so... why wasn't that thing included in the visions? Visions are limited by understanding. Glint mentions in her memory crystals that she couldn't see past her upcoming fight with Kralkatorik, and wondered if it was some sign of her death. But she couldn't see her own death. Btw if anybody is wondering about Aurene's whereabouts, I think she is actually in the Thunderhead, because Kralkatorrik creeps through the snowy mountains, and we know Aurene is chased by Kralkatorrik. So Aurene will certainly be seen in the next episode. I think the commander will not be so stupid to fight Kralk. I think the Commander's "insane plan" is to make Kralkatorrik leave Tyria, and we and Aurene will fly out of Tyria so we will rule him into the Mists. Episode 5 will end with a cliffhanger with the Gods that will return and appear in front of the Commander and Aurene, and will save us from Kralkatorrik's deadly grasp. Glad more people are waking up to that whole "kill Kralk inside the mists" thing. Jokes aside, I think that will play a big role. It's the perfect plot device too. The magic will be inside the mists, so Tyria isn't immediately blown up IF the magic is unleashed, meaning Aurene definitely doesn't have to absorb 100% of the magic. At the same time we will have a reason to meet "a new challenger", that will undoubtedly be drawn in by the insane amounts of magic just unleashed. I wouldn't even count on the Gods to play a major role next season. Maybe we even meet an entirely new foe that wants to eat dragon magic, following us through the mists to get some more of that good stuff. Even if Kralkatorrik is killed in the mists, Tyria will be destroyed. The Elder dragons are linked to the world, basically pillars. 2 are destroyed and even if we make sure that no magic will spill to Tyria, killing Kralkatorrik without a suitable replacement will lead to the destruction of our world. That is probably what we saw, still seems like it would be a big map, even for a recent LW map. The main issue ArenaNet suffers when it comes to plot, is their apparent need to constantly make the next threat bigger and badder. For the MMOs you listed, how many others ceased to work because of this very issue? Or just in general? MMOs can last decades. But that doesn't mean they will. However, this is besides the point. I was not arguing about how long GW2 will last. And given that they already used "Primordus is active" as a plot point only to put him (and Jormag) to sleep all so that we can focus on a non-Elder Dragon thread, I think that's a sign that they're getting tired of the Elder Dragon plot. As such, I feel the next plot will not be Elder Dragon related. Besides, so far, we've always had a non-ED plot between ED plots; GW2's plots have been so far: Zhaitan -> Scarlet's "anti-Pact" -> Mordremoth -> Balthazar -> Kralkatorrik for major villains. It makes sense after Kralkatorrik will be a non-ED plot of some kind, one that, like Scarlet and Balthazar, will directly relate and lead into the next Elder Dragon. 1. Narratively, it's still awake and active, thus would get the biggest kick out of Kralk's death, and why waste the time and effort, and most importantly, the impact of putting Primordus and Jormag to sleep by just immediately waking them up. 2. It had also gotten some of Mordremoth's magic (HoT end cinematic showed a quarter of his magic going off to the Unending Ocean, in the likely direction of the DSD) which should result in it becoming more active and moving about like we saw with Primordus and Kralkatorrik. 3. Most telling to me is that we've gotten one "medium-sized" underwater update and a couple smaller ones, and - far bigger - there was recently some datamined aquatic weapons found by that_shaman, suggesting more focus on underwater content. Hence my statement of "if Anet wants to keep GW2 running for another decade" for when we'll see Primordus. Because first will be, in my humble opinion, the deep sea dragon - but before that, a Living World Season that is non-Elder Dragon related. So we're likely to get a minimum of 6 LW episodes before the DSD plot, ergo another year to year and a half after Season 4's finale of Episode 6. Even if ArenaNet were to manage a 2 month cadence for every release after Ep 5, that's still 16 months before Expansion 3 and the earliest of the DSD's plot. Following the above, there'd likely be another non-ED plot after the DSD-plot before returning to either Primordus or Jormag, thus enter another 6 episodes or 12 months before the 14th month beginning a Primordus and/or Jormag plot. In other words, a bare minimum of 28 months after January 8th to the start of a proper Primordus plot, if my guess is right. All that said, if ArenaNet has any intentions of making a GW3 instead of sticking to GW2, then after dealing with the Deep Sea Dragon in the above outline would be the perfect time to end GW2, since atm, Primordus and Jormag are non-threats. I am not saying this will happen, I'm just saying if Anet have plans for a GW3, then it'll be "soon (tm)" (by which, I mean, still a few years away). Star Trek Online spent the first 6.5 years of its existence constantly upping the threat from minor regional problems, to battles for a quadrant of the galaxy, to a galactic war with a species whose technology the developer based around the phrase "indistinguishable from magic", and then culminated in a literal Time War whose end mission was literally called "Ragnarok" because of how apocalyptic it was. They only started ratcheting down the threat recently since they literally ran out of anything else to use until Star Trek Discovery, and the upcoming Lower Decks and Picard series came about. Though they have leveraged the fact so many of the Galactic Alliance's forces have been destroyed in all these wars that they are comparatively weaker then the should to make enemies more of a problem then they would have otherwise. GW2's plots have been so far: Zhaitan -> Scarlet's "anti-Pact" -> Mordremoth -> Balthazar -> Kralkatorrik for major villains. I think this is something of a misrepresentation of the actual plot. Scarlet was just a minion of Mordremoth, and all of her shenanigans were leading to Mordremoth's awakening. Similarly, Balthazar was the focus of Path of Fire, but the real end threat was Kralkatorik, who Balthazar was trying to kill. Both were stepping stones on the way to the true villains, the dragons. I entirely agree. I have long assumed the DSD would be the next dragon we face for many reasons. Jormag and Primordus would be the last, with Primordus being the last of the last, for narrative parallel reasons with GW1. So, at minimum, another 4.16 years until Primordus. Or, at max, 6.66 years until Primordus, depending on if they do multiple 6 episode seasons between expansions again or not. This based on a rough average of 2.5 months between releases since Anet doesn't have the best track record of hitting every two months. So, maybe another 20-30 living world releases, on top of the three expansions, before the game is done. Assuming they don't make a "Jump to Lightspeed" sized error and kill the game before then. In retrospect you're correct about Scarlet, but Scarlet was her own plot hands down. Before her introduction, she was described as being the Commander's "personal nemesis". She was the main villain of the plot. Her plot led into Mordremoth's, but she was not part of Mordremoth's plot. Hell, we can't even be sure that Mordremoth was ever even a part of Scarlet's plot since there was pretty much zero indication of any force-behind-the-scenes other than Scarlet herself with all those alliances and her antics. It wasn't until after Tower of Nightmares, when ArenaNet introduced the concept of seasons and had released everything that was in development when the playerbase boo'ed the living hell out of Scarlet's design that we got the whole 'Scarlet was being manipulated by another being' going. And I would not say that Kralkatorrik was "the real end threat" of Path of Fire. Kralkatorrik was practically just a mcguffin for the Path of Fire plot, a simple device used to push the plot forward and nothing else. For all intents and purposes, Kralkatorrik could have been a non-living non-threatening object and it would change the plot not at all. Balthazar was the main villain of the Season 3/Path of Fire plot, no ands ifs or buts about it. But as I said, the non-ED plots lead into Elder Dragon plots. So, at minimum, another 4.16 years until Primordus. Or, at max, 6.66 years until Primordus, depending on if they do multiple 6 episode seasons between expansions again or not. This based on a rough average of 2.5 months between releases since Anet doesn't have the best track record of hitting every two months. So why were you even arguing with my statement then, since even by your standards, ArenaNet would be needing to be intending to keep GW2 running for roughly another decade to go to Primordus. I think some wires got crossed somewhere. You originally made the claim that we likely wont ever fight Primordus due to how long it would take, and constant power creep, and my argument was that doesn't matter because MMOs can last that long. I admitted from the begining it would likely take a long time to get there. Also, 4 years is less then half a decade, 6.66 years is only 2/3 of one. Neither are roughly a decade. I'd actually put your estimates even lower, the way Jormag and Primordus are set up would work well for a dual dragon threat, something like a "fire and ice" expansion. I generally don't buy into the idea that Jormag and Primordus's weaknesses are only each other. Every dragon should be weak to its opposite dragon, that isn't terribly unique. I suspect both Jormag and Primordus have weaknesses other then just each other, and likewise Zhaitan and Mordremoth should be weak vs each other, as should Kralkatorik and the DSD. Never said it was about the weaknesses, I'm just saying it'd be more thematic than having separate fire and ice expansions. If they're willing to defeat a dragon in living world episodes I don't see what's wrong with putting two in one expansion. Besides it'd allow for more map variety, which is a criticism PoF has gotten. The post-Joko "good awakened" being part of the "save the world crew" is a nice touch. We have the pact, the Destiny Edge, persons from GW1-NightFall, the Sunspears. I'm curious to know who else more will come up, or if will be there more "famous ghosts" from the mists. Marjory is from Cantha, she may get a letter at some point from her homeland.